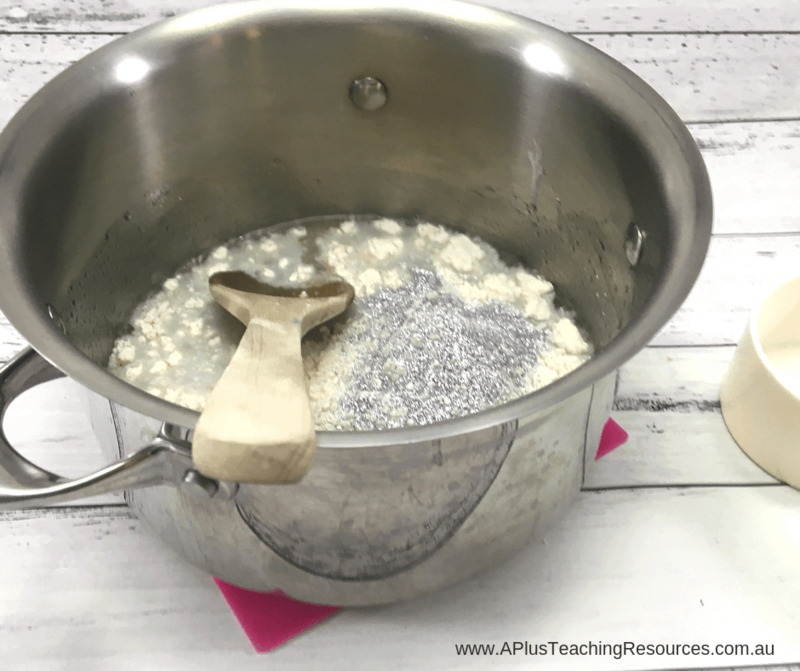 This Cooked Playdough Recipe is quick and simple to make. 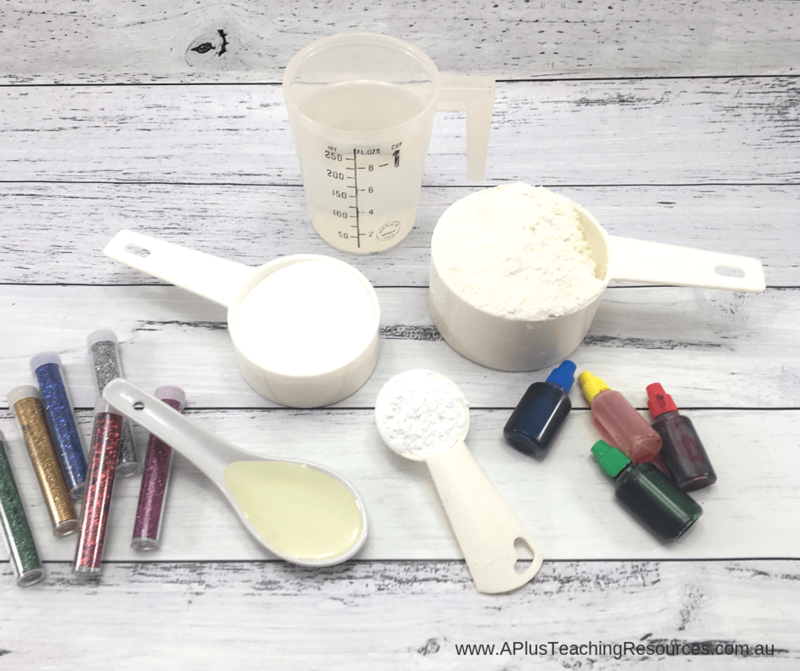 In just 5 minutes you’ll have soft, smooth, squishy play doh perfect for any Kindergarten Playdough Station! 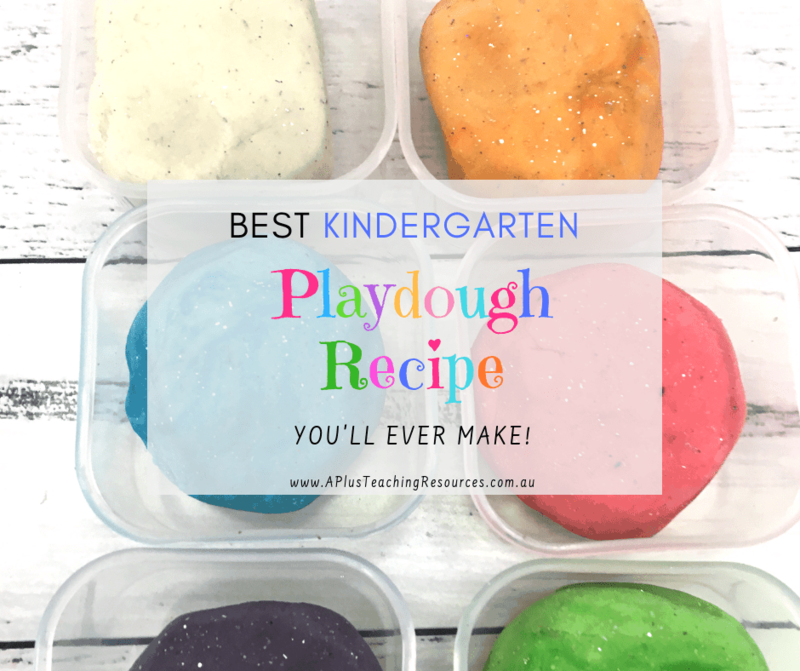 There are so many different recipes for playdough we have some favourite ‘go to’ homemade playdough recipes ourselves. 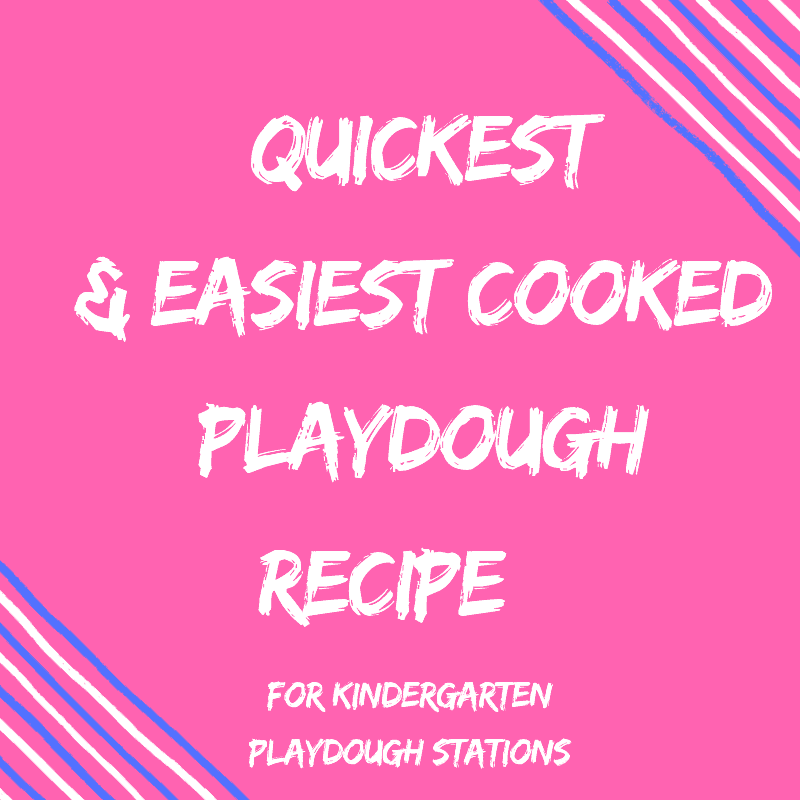 There’s recipes that are edible or scented, no cook playdough recipes, even recipes that include jello or conditioner! 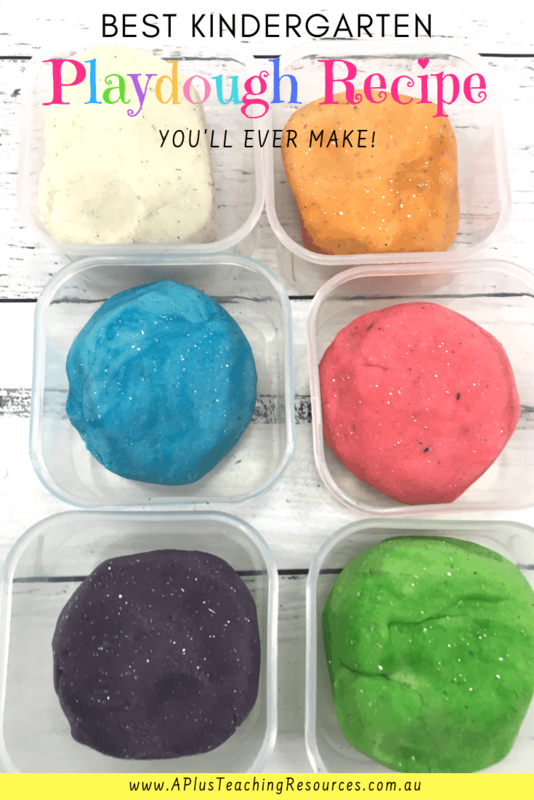 If you are looking for a new quick and easy playdough recipe then you’ll love our cooked playdough recipe because it’s so like the real thing! *this post contains affiliate links. APTR may receive a small commission for referring your purchase at no extra cost to you. Thanks for supporting us! 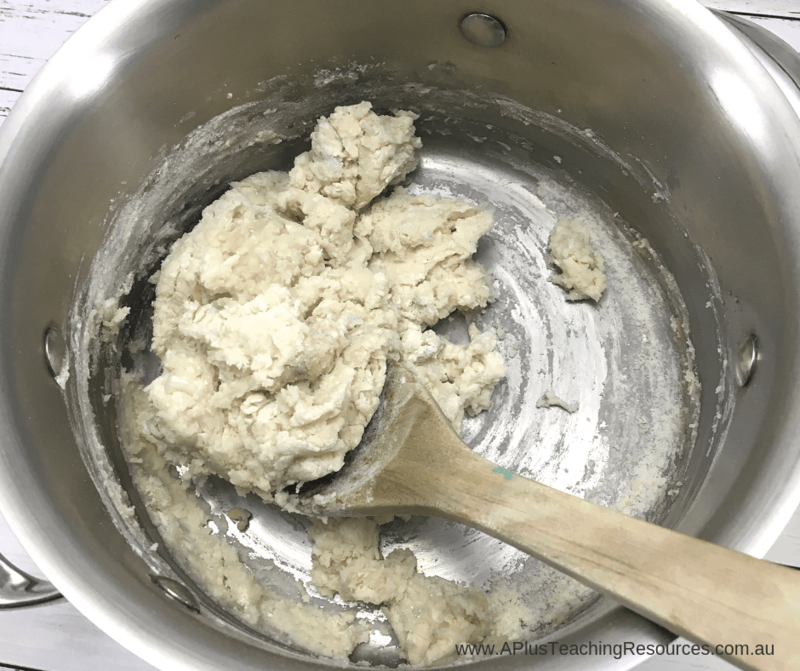 This easy to make cooked playdough recipe really works! 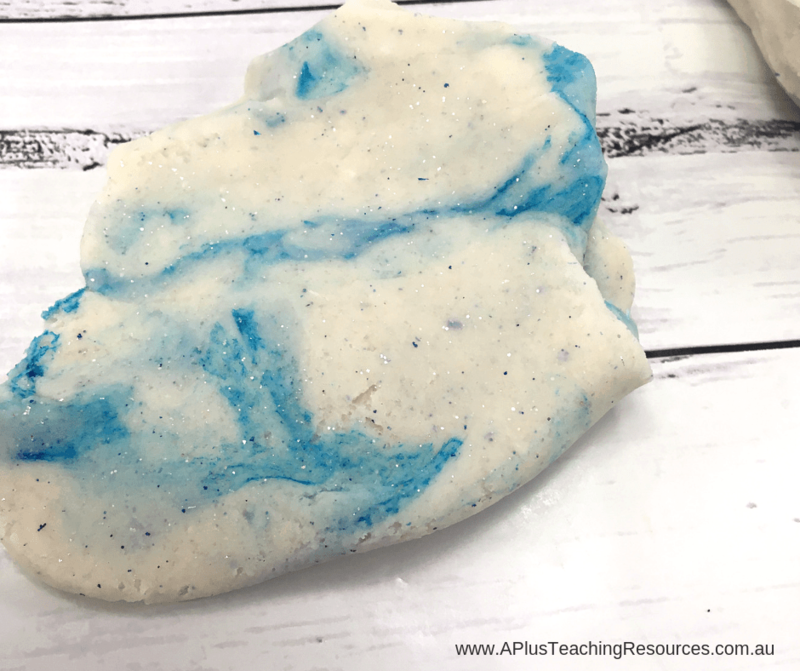 It has a few more ingredients but it only takes 5 minutes to make lovely squishy pliable playdough perfect for our playdough mats! 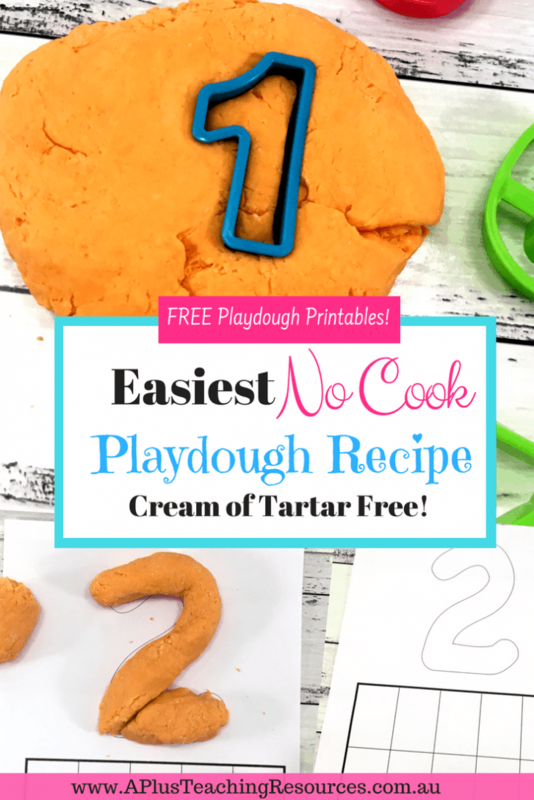 Don’t blink, there are only 2 steps in this easy cooked playdough recipe. 1.Place water, oil and salt in the pan. You can also add glitter if you’re using it. If you want to make a large batch of the same color, add your coloring now. But if you want to make lots of different colors you can add the coloring to the white dough later (see below). 2. Gently heat the mixture for a minute or so. Do not boil or simmer the mixture. Take the pan off the heat and add the flour and glitter if you are using it. 4. Finish off by kneading the mixture into a ball with your hands. That’s it you’re done and you have a beautify soft and squishy snow dough playdough, perfect for Christmas Activities! If you have made a batch of white playdough you can now colour or even let the kids do it. Break off some of the playdough and pound it flat. Add a few drops of food colouring gel and fold the dough over itself. 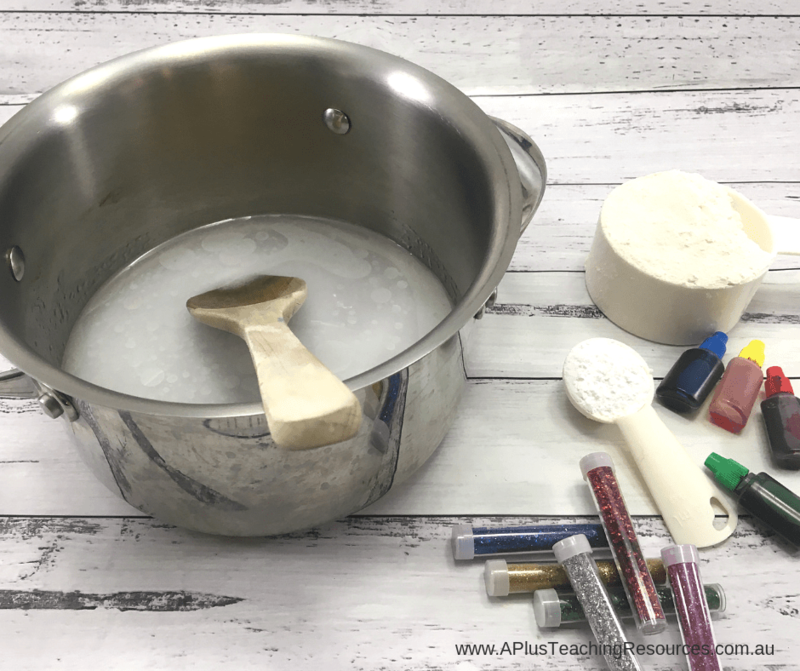 Knead until the colour is mixed in or you can create a marble effect! If you didn’t add any colouring then you’ve got a lovely squishy snow dough! 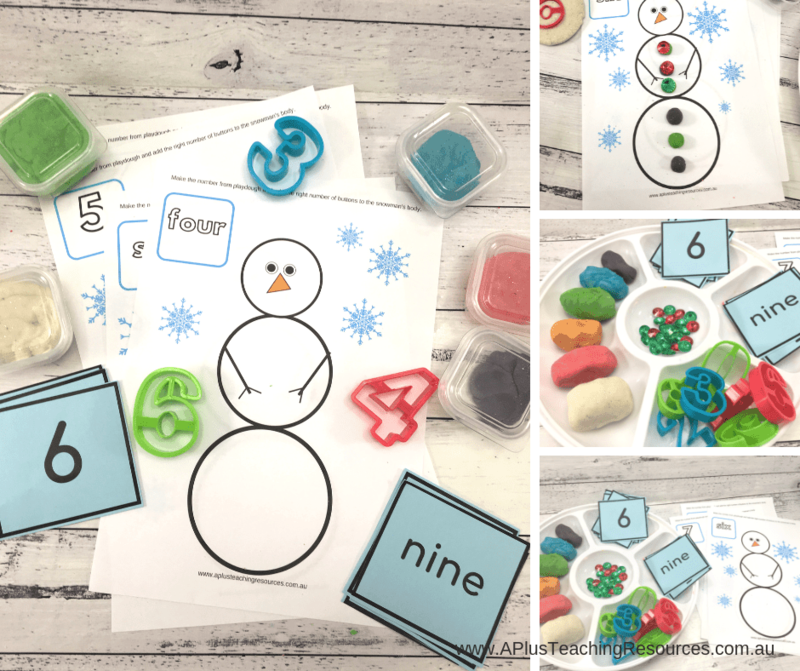 This will work perfectly with our Free Snowman Playdough mats. 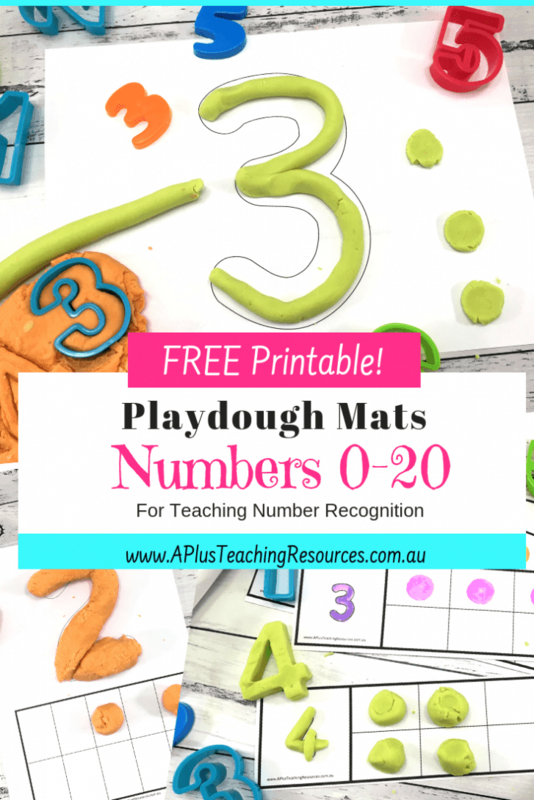 But before you do also check out our Other Free Printable number Playdough mats below. 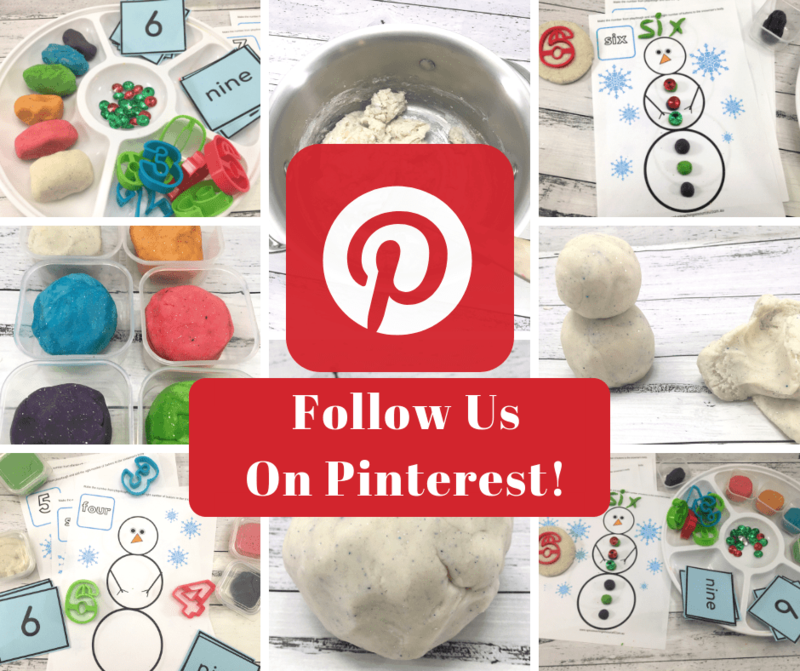 Follow our boards on Pinterest for Christmas Palydough ideas and Simple Recipes for Christmas activities. 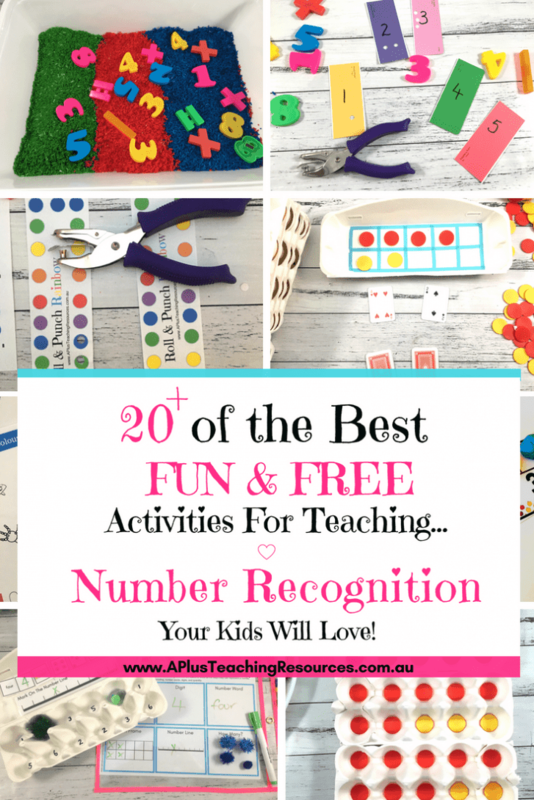 Perfect for sensory play and playdough mats or even as a gift! 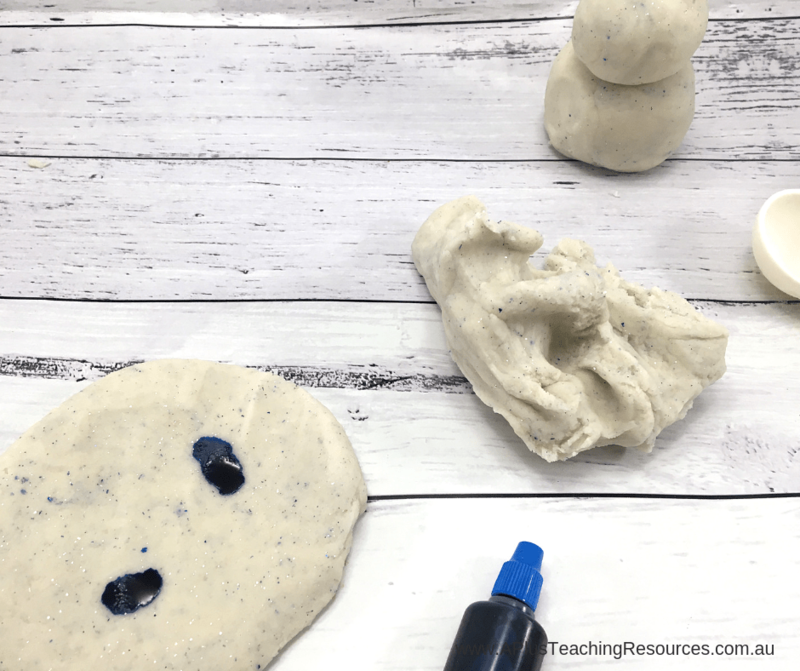 You’ll love all these christmas playdough ideas in one place… There’s even some free printables too! 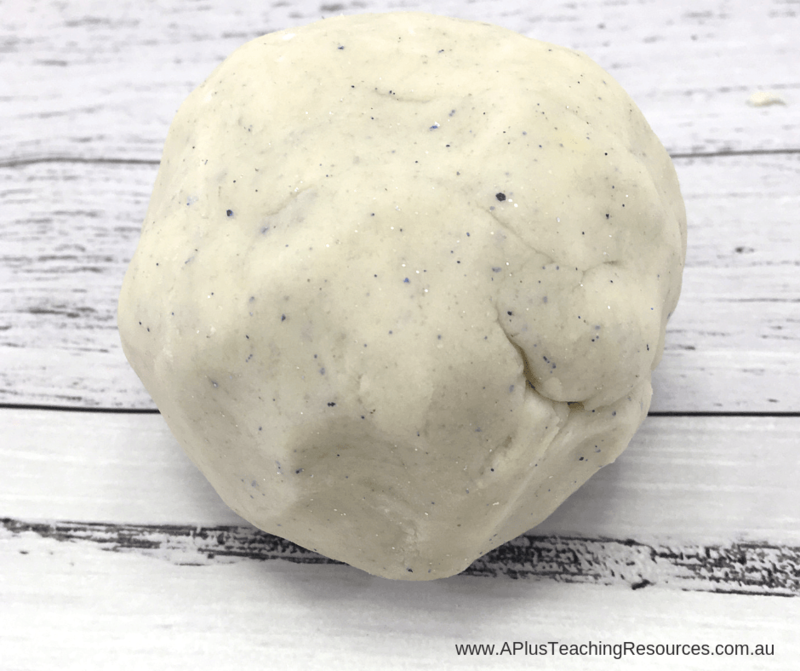 #playdough #playdoughrecipe #teacherfreebie. Click the image below to get your hands on more ideas!